As with any adventure, there are great times and not so great. 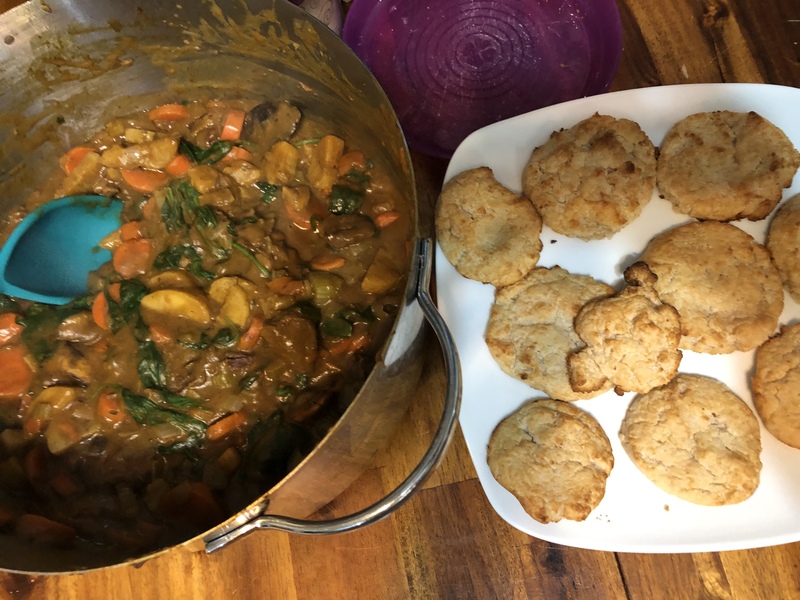 Tonight’s meal was mostly great … a lovely moose stew and biscuits. My family called them cookies…they did lack the fluffy nature of biscuits and, well, were rather chewy. 😂 but they’re not cookies!!! I was a little leery of the stew recipe but it turned out pretty great. The biggest problem I have with AIP is that it’s awfully inconvenient. I miss picking up a pizza on nights like Friday when we have a swim meet and a hockey game and the family is literally running in different directions, not to mention going from 90* to 10* in a matter of minutes. But I regress. I miss the convenience of ready made food. Instead, I ran home from school, threw chicken legs on the grill, packed a swim bag, cut fresh vegetables and fruit, fixed hair for under the swim cap, retrieved chicken legs and fed kids, reminded Levi to pack his homework, hockey bag and gear up, loaded kids in the car, loaded a meal in the car, and drove off to swim. In the space of an hour – give or take. Keith met me at the meet and ate there. The kids continued to eat there (luckily, everyone else was eating too). However, the smell of hotdogs and nachos wafted up to us as I saw both my husband and son longingly drool in their direction. I spent the weekend prepping food for the week ahead. 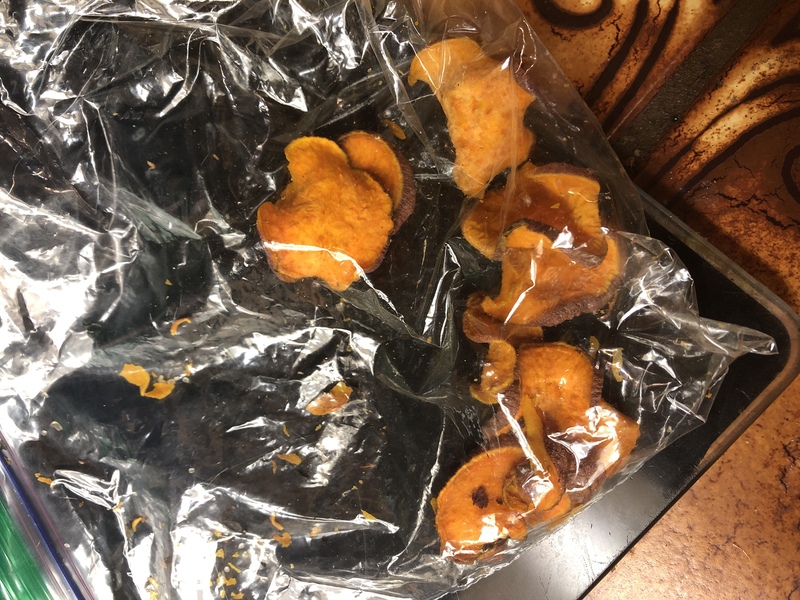 As soon as a batch of kale chips came out of the oven, I watched my daughter and husband take handfuls of crispy chips and “munch, munch, munch…” off with a trail of green crumbs and an empty wire rack. Cue sweet potato chips, which at least lasted through the Brown Bears game Saturday. Sadly, by the end of SuperBowl, naught but a few crumbs remained. So much for snacks during the week! It’s Monday night and no kale remains. Very few sweet potato chips have survived. And Keith’s tool box? Devoid of snack food.